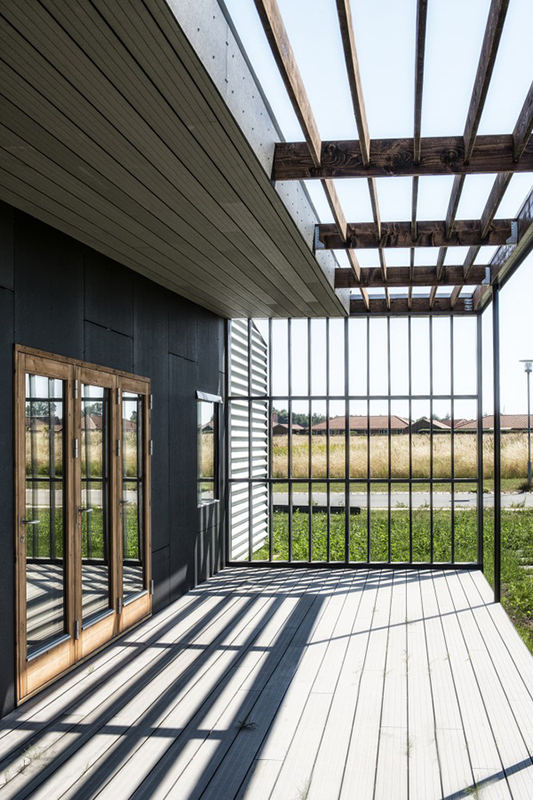 The Danish architecture firm Lendager Arkitekter recently completed the experimental Upcycle House in Nyborg, Denmark. 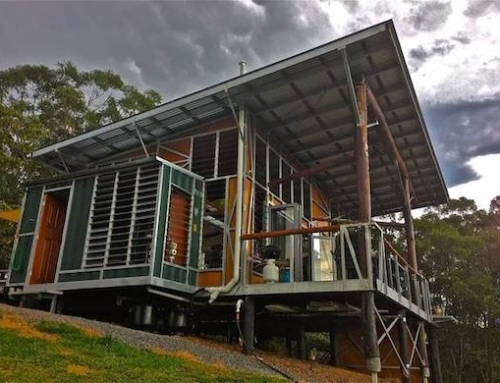 The goal with Upcycle House was seeing if carbon emissions of a home can be reduced through the use of recycled and upcycled building materials during the construction process. The end result was the reduction of CO2 emissions by 86% compared to a benchmark house. Upcycling is a sort of a next step in the recycling process, namely using recycled products and turning them into new materials or products of higher quality and greater value. 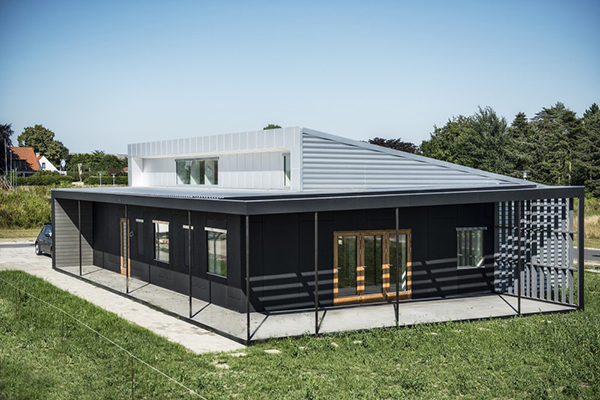 In the case of Upcycle House, this reduced the need for new production and therefore reduced the CO2 emissions. 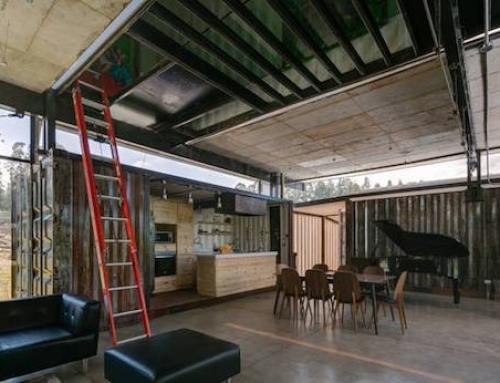 Upcycle House is constructed from two repurposed shipping containers, which yielded a living area of 129 square meters (1390 square feet). The work on the house started offsite, where the holes for windows and doors were cut into the sides of the containers. 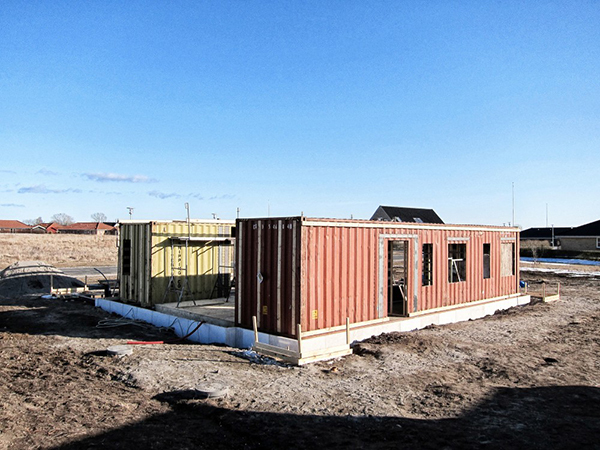 The containers were also fitted with plumbing and wiring for the bathroom and kitchen before they were transported to the building site. The house was placed on a foundation of helical piles, which require no excavation to install. They can also be removed from the ground if the house is torn down. 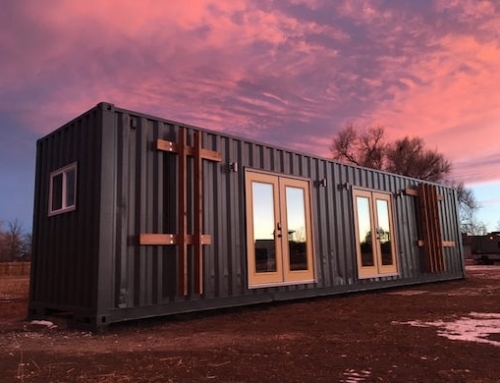 The two shipping containers were well insulated on the outside, while the team used no plastic foams, instead opting for Technopor, a rigid insulation made from recycled glass bottles. 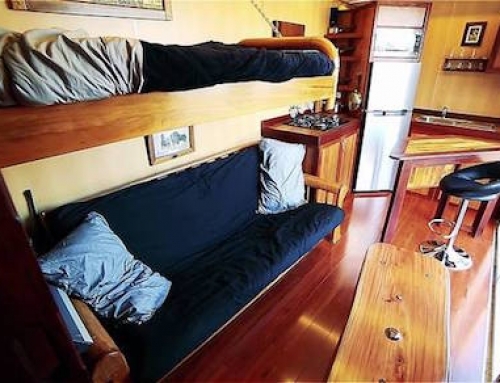 The interior of the home features a large living room and kitchen, a master bedroom, three smaller rooms, a bathroom, a utility room and a passive cooling chamber. There is also a greenhouse adjacent to the kitchen, as well as a large south-facing terrace. The roof and the façade were constructed from recycled aluminum cans. For the exterior panels, the architects used post-consumer recycled granulated paper that was pressed together and heat-treated. They used discarded champagne corks as tiling in the kitchen, while the bathroom tiles are made from recycled glass. 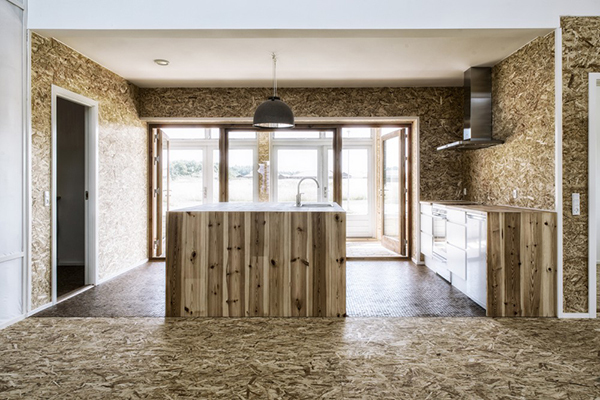 The walls and the floor of the house were covered with OSB-panels made from wood-chips discarded as waste by-products by production sites. These were pressed together without glue to form the panels. 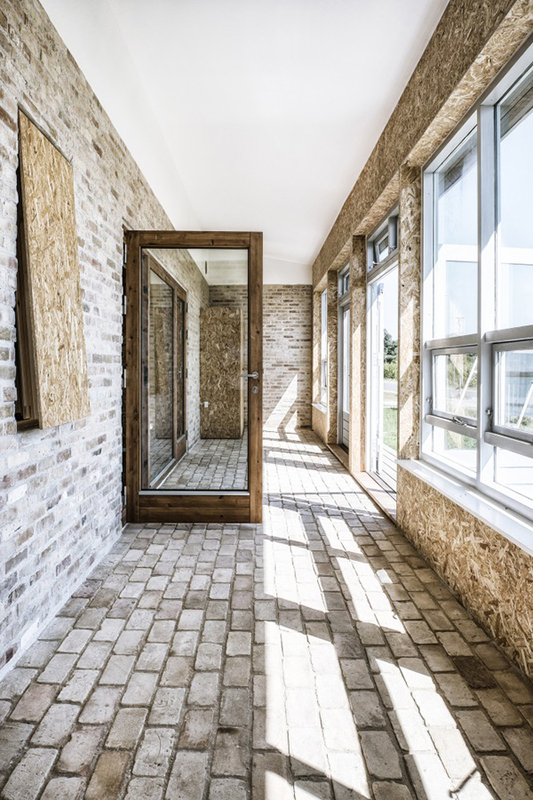 Since one of the goals of the design team was to make Upcycle House look just like any other modern house, the recycled materials used in the construction process were kept as invisible as possible. 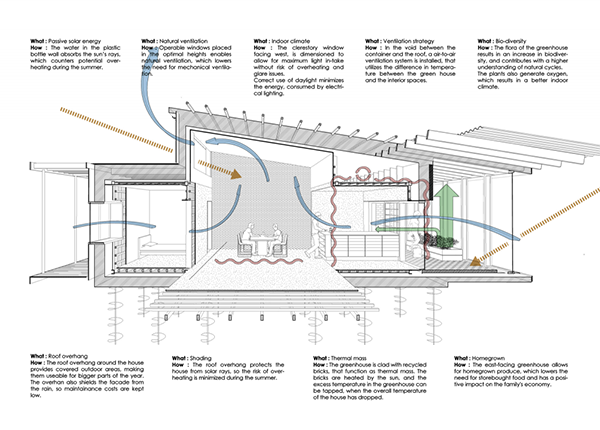 They also focused on passive sustainability, by taking into account orientation, temperature zones, daylight optimization, shading and natural ventilation. This is so interesting. 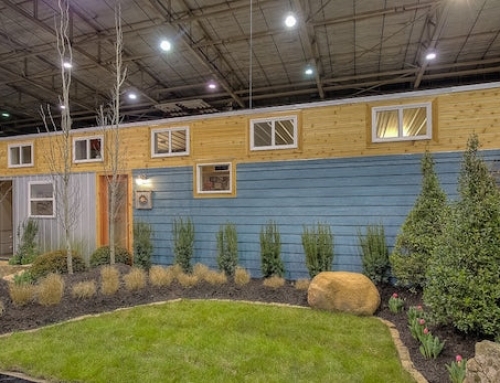 I love the idea of building your house from recycled materials. Plus the fact that you get a lot of benefit from using it, it’s just amazing. I would love to learn more about this!